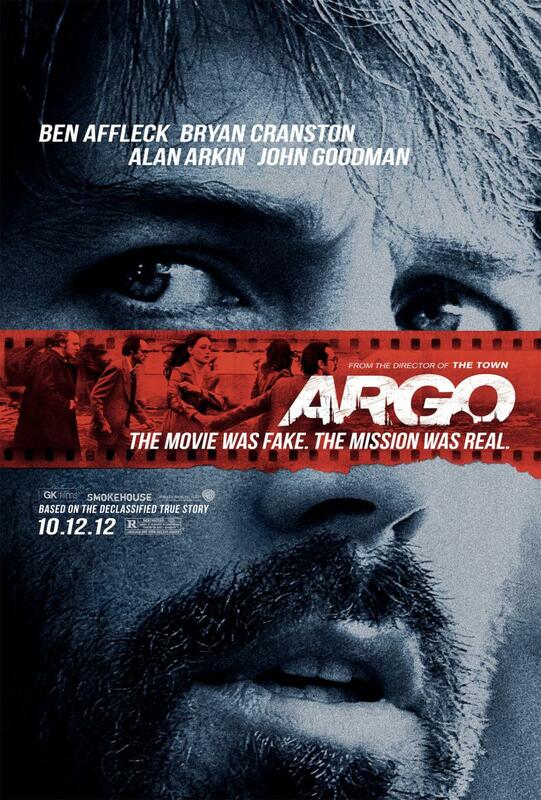 “Argo” is quite simply one of the best movies I’ve seen all year. It has everything one could ask for: a solid story, a superb cast playing interesting and well drawn characters, a pulse pounding climax, and the element of surprise. It’s different than anything I’ve seen all year long and that’s always a good thing. I admired Ben Affleck’s debut feature as director, “Gone Baby Gone” aswell as his second attempt, “The Town”, but this surpasses both; what’s more, he gives a fine performance in the movie’s leading role, as a CIA agent who takes on the “impossible” task of escorting 6 Americans out of Tehran, using a fake Hollywood movie production as his cover story. Best of all, it’s based on a true story, so the movie never feels phony. Affleck is surrounded by the likes of John Goodman, who plays real-life makeup artist John Chambers, and Alan Arkin as a hilarious, cynical producer who helps Ben and his crew with their movie (Note to Oscar: Get Arkin on the nomination list pronto). But the challenge in describing the film is that it doesn’t neatly fit into any pigeonhole. It’s a serious movie that happens to have a sense of humor, because Affleck and his collaborators see the absurdity in this sort of situation. He also does a great job in bringing the city of Tehran to life, where violence and murder lurked in the everyday shadows back in the 70’s and 80’s.”Argo” is full of twists and turns, and how they unravel will keep you glued. My lips are sealed. Just see for yourself. I loved it! Amazing story, scenario and cast. I loved the details and how loyal Ben Affleck was to the original events, characters and atmosphere. The kind of movies that stay in my head for quite a while after watching.